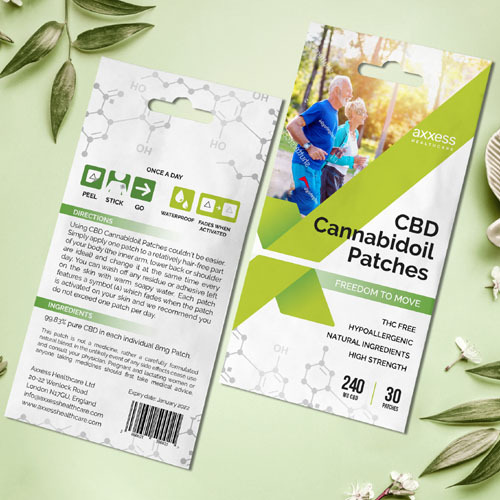 Using CBD Cannabidiol Patches couldn’t be easier. Simply apply one patch to a relatively hair-free part of your body (inner arm, lower back or shoulder area ideally) and change at the same time every day. You can wash off any residue or adhesive left on the skin with warm soapy water. Each 30 patch packet will last you a month! We recommend you do NOT exceed one patch per day. 99.83% pure CBD in each individual 8mg patch.